We felt like something different and more lean. These meatballs by Gwyneth Paltrow fit the bill. The maple syrup is a unique touch. I had to omit the raw garlic but it was great anyway, even without the sauce! 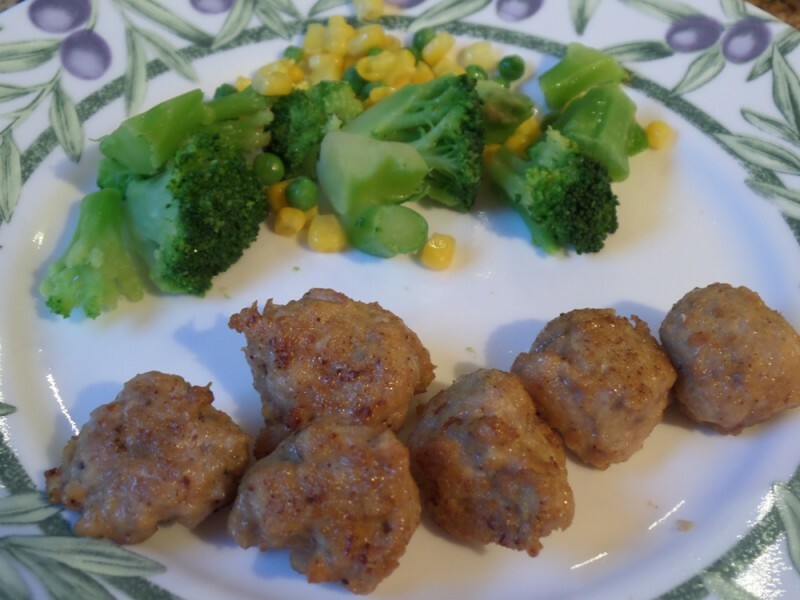 Makes 2 dozen protein-packed meatballs. Thoroughly mix the chicken with the salt, pepper, garlic, ginger, soy sauce, and maple syrup. Roll the mixture into golf ball–sized meatballs. Grill, roast, broil, or pan-fry the meatballs until they’re cooked through and serve with optional Lee’s Hoisin Sauce. This entry was posted in Entrees.